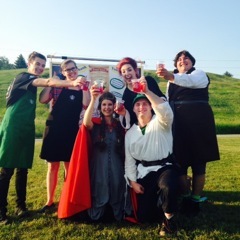 Goodger-Pink Productions got a big surprise today when Starbucks, through their community outreach program, came out to our evening performance and handed out free beverages to our Audience. It was an incredibly generous surprise! We appreciate all the support. If children’s theatre were a tall glass of water, we would have been seriously parched over the last few weeks. Thank the gods of family-friendly theatre for this outdoor production of Robin Hood. (Presented by Goodger-Pink Productions, which is now in its second year). Performances run Friday and Saturday at 7 p.m. and on Sunday at 2 p.m. Tickets are “pay what you can” with a suggested donation of $10. Check out the website for more info. I’m so excited to be able to support Goodger-Pink Productions for another fun season. Their mandate is “to offer quality, professional level theatre to the residents of Okotoks and the surrounding communities, with a focus on financial accessibility for all.” This summer’s production is Robin Hood and I can’t wait to watch their spin on this classic tale. Some of you may have seen them in the Okotoks parade handing out gold (chocolate) coins. Be sure to drop by the Kinsmen Park at 111 Oak Avenue and check out the action. The play runs from July 4-13, 2014 and the admission is pay what you can. A Calgary actor returning to his childhood stage in Okotoks has something unique in store for his audience this month. Brett Gartly is one of four actors performing an over-the-top version of the fairy tale “Snow White” at the Foothills Composite High School this week and next. However, what may be shocking is the fact Gartly is playing the queen. 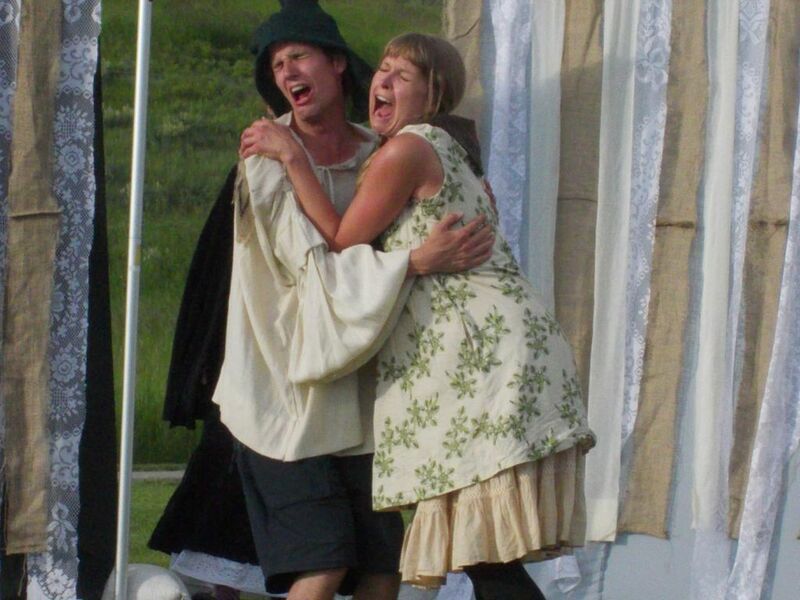 Okotoks’ British expatriate community will recognize the British pantomime style, which takes a familiar fairy tale or classic children’s story and injects contemporary references, music and switches gender roles. 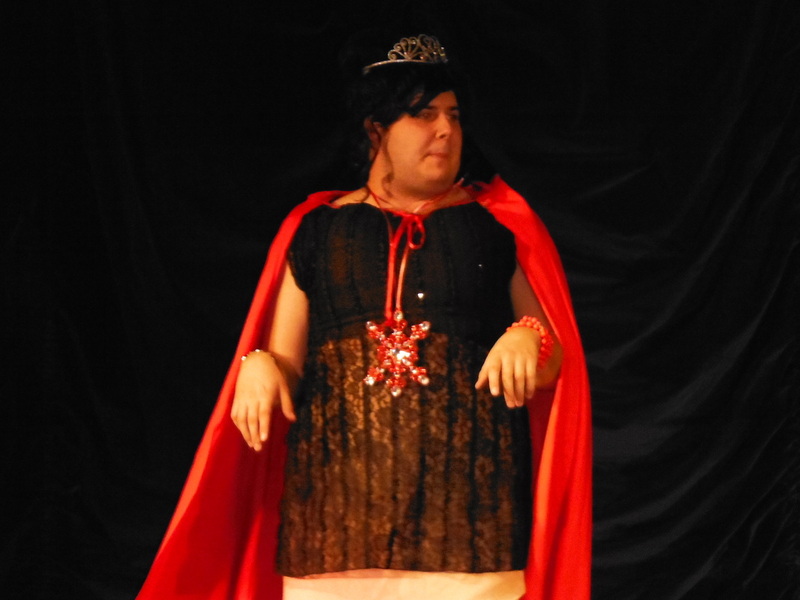 When Gartly received a call from Samantha Duff, artistic producer of Goodger-Pink Productions in DeWinton, asking him to play a role in “Snow White” he was on board. He said one of his favourite parts about this style of acting is getting the audience involved. A theatre arts graduate who recalls the joy of sitting on the grass watching plays in the park is recreating her childhood memory in her hometown this summer. 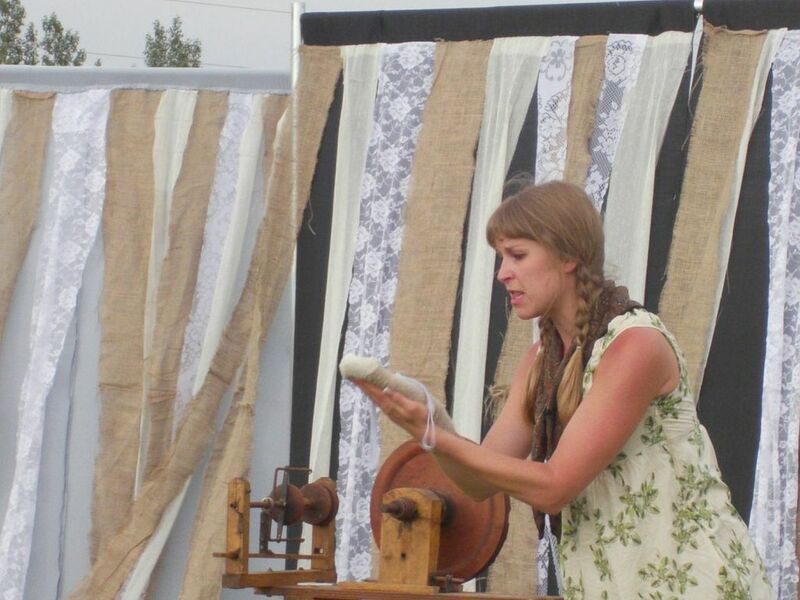 Having grown up in Okotoks with a love for drama, Samantha Duff is bringing her own stage performance to Kinsmen Park in the production “Rumpelstiltskin Revised” through her Okotoks-based production company Goodger-Pink. Duff will be joined by former Okotokian Joe Fowler and Calgarian Holleay Rohm in the unique recreation of the fairy tale classic June 28 to 30. Duff pursued her love of acting and graced stages with outdoor performances at Theatre Calgary’s Shakespeare in the Park and Edmonton’s Freewill Shakespeare Festival. She graduated from Mount Royal University’s theatre arts program and University of Alberta’s Bachelor of Fine Arts in acting and returned to Okotoks six months ago. 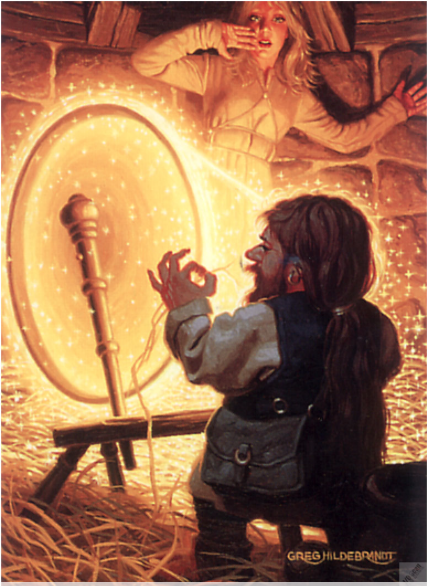 The 55-minute fast-paced remix of the classic fairytale “Rumpelstiltskin”, written by Guy J. Jackson, will entertain people of all ages, said Duff. 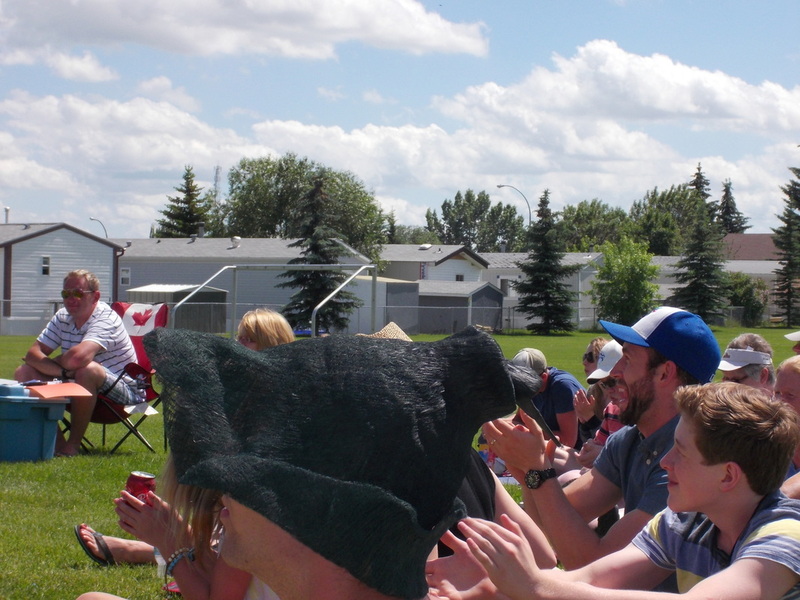 Goodger-Pink productions is thrilled to bring outdoor, all-ages theatre to Okotoks! 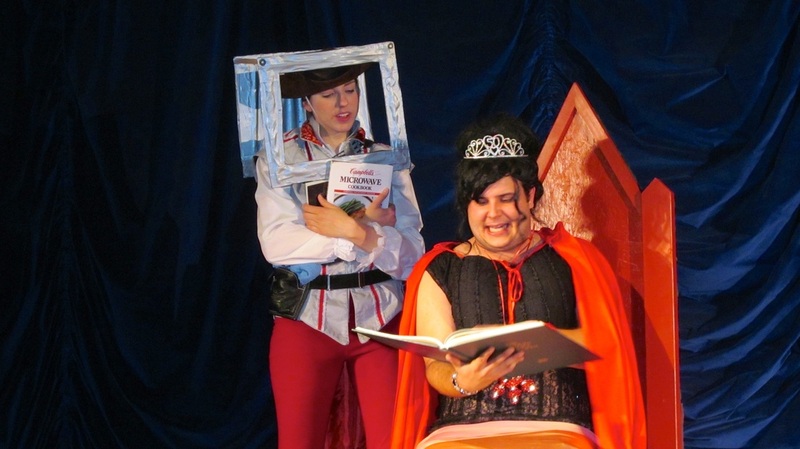 This is a fast paced, hilarious re-mix of the classic fairytale Rumpelstiltskin that is appropriate and enjoyable for both children and adults alike. All shows will be held outside so dress for the weather and bring a blanket to sit on and bug spray. Running time is 55 minutes.